Saw this while driving the other day...look Japanese/Korean? hahaha that is funny! i dig it! dj mouse? 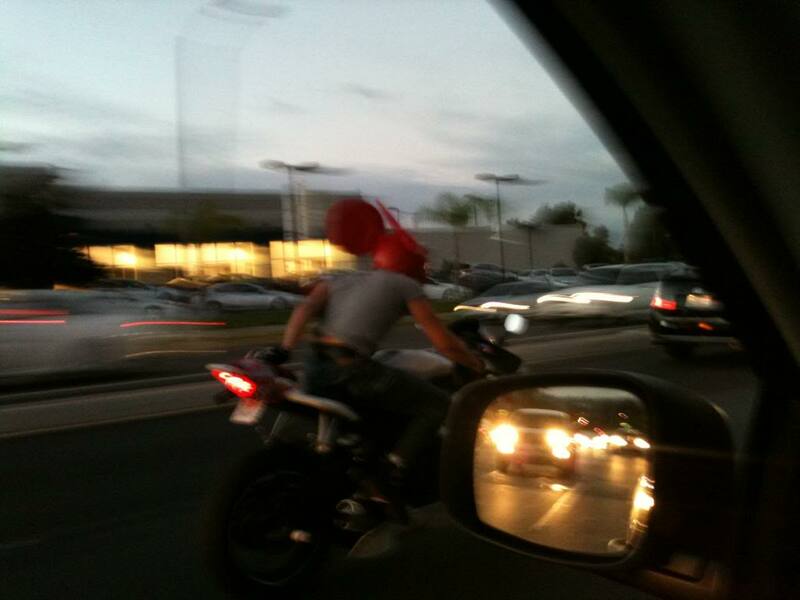 he replicated the 'deadmau5' helmet. 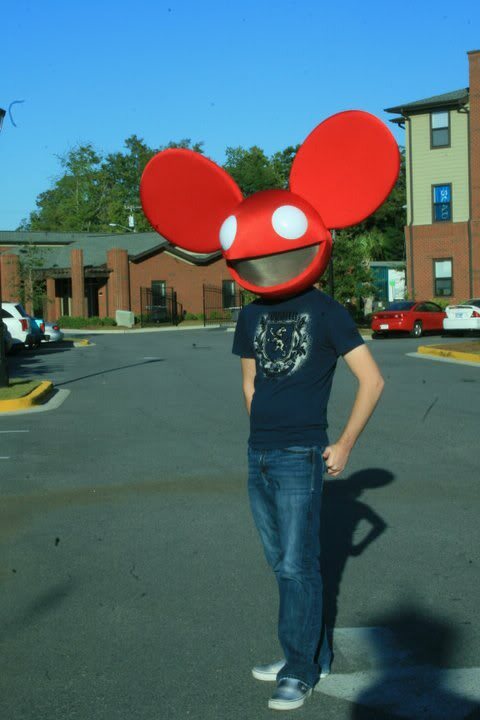 deadmau5 is a house/trance/dubstep dj.